We manufacture high-precision Calender Rolls used in plastic machinery leveraging our quality infrastructure for fabrication, precision grinding, hard chrome plating, super finishing and other miscellaneous operations like dynamic balancing, and keyway. Our rolls are customized based on individual client's requirements. · Reduces journal breaking problems. · Better thermal conductivity as in the rolls are completely machined from inside also. With wide and industrial experience we are able to offer Table Calender Roller Unit. We produce these types of Table Calender Roller Unit using excellent quality of steels and raw materials sourced from leading vendors. 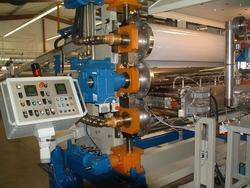 we have calender rolls for the purpose of calendering. And also we have the calender rolls in various dimension. RHL has been specialising in the production of Calender rolls for over 200 years, and is established today as the world's leading supplier in fibre filled rolls.Our comprehensive range of calendar rolls include Universal, Soft, Simili, Schreiner & many others. We are a unique entity in this industry, actively committed towards manufacturing a premium quality range of Calender Roller. 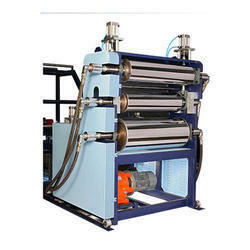 These rolls are used in textile industry for the purpose of Calendering and embossing. The rolls are used on 2-bowl embossing machine. 3-bowl calender to 5-bowl calender machine. We are the leading manufacturer, supplier and exporter of the industry, offering a wide assortment of Woolen Paper Roll. Our products are widely demanded by the clients for their varied use. Our products are reckoned amongst the clients for their availability in different sizes. Being a leader in the industry, we are engaged in offering a qualitative range of Polyamide Calendar Roller to our customers. Size: As per requirement from 100mm dia to 500mm dia and length upto 2000mm.